RESIDENTS likely to be impacted by the Inland Rail project have been left feeling insulted rather than consulted following a community meeting. 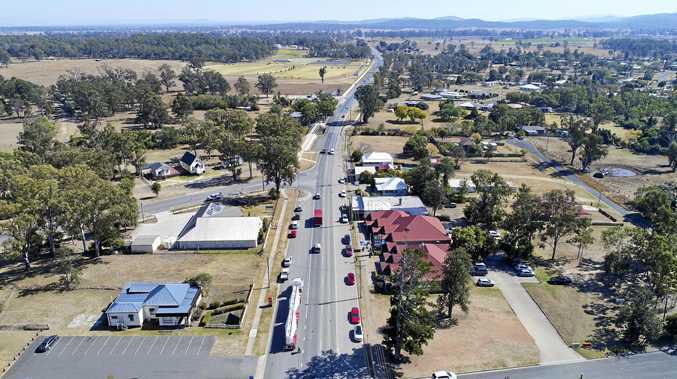 After a meeting ran 30 minutes over time, the floor was denied an additional 10 minutes of question time by the Lockyer Valley Community Consultative Committee, in Laidley last week. Member for Lockyer Jim McDonald was in attendance and said the meeting appeared to be a staged consultation to "tick the boxes" in the project's development phase. "The information they told was quality, but it's a complex issue, and for people to be able to articulate something back at the meeting is really challenging," he said. More than 50 people attended the meeting, including former Lockyer MP Ian Rickuss. "Not giving the community 10 minutes of question time when they have made the effort to come out to a public meeting is very disappointing," Mr Rickuss said. "This is a hundred-year project and they (ARTC) are trying to rush the first six months of it." Inland Rail Queensland stakeholder engagement manager Mercedes Staff said the committee, run independently of ARTC, suggested observers with questions should raise them with ARTC staff following the meeting. Ms Staff said all information gathered was fed into the design process of the project. "We have been dealing with directly-affected landholders in the preliminary alignment first, so they can talk to our staff one-on-one and pass on the unique aspects of their individual properties," she said. "We want to give the community the opportunity to provide feedback on matters of importance to them such as flooding, property severance, levels crossings and noise." Ms Staff said as well as one-on-one meetings with landowners, ARTC would hold staffed information displays at local shopping centres as part of a wider community consultation. 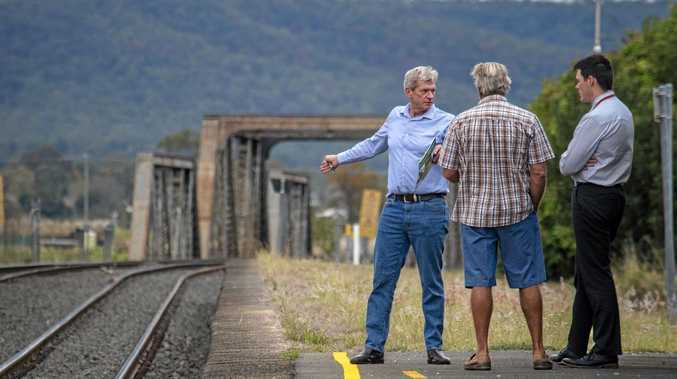 The $10 billion, 1700 kilometre line is the largest freight rail infrastructure project in Australia, with the Gowrie to Calvert section through the Lockyer Valley consisting of 76km of new, upgraded and dual gauge track. Mr McDonald said the pathway through the Lockyer Valley was the most difficult for the entire project but could not be completed at the expense of the region. "This might be a project of national significance, but this is the hardest section, they need to invest in solutions," he said. 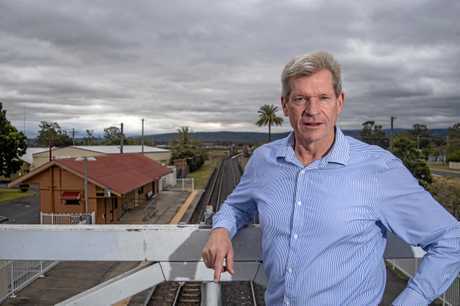 Following the appointment of the new Inland Rail CEO Richard Wankmuller earlier this year, Mr McDonald had gained confidence the project would be an open and accountable process. But he is concerned Mr Wankmuller's "genuine efforts and spirit" for the project are not progressing through the project's management team or consultative committee. "The process does not appear to be in line with what the CEO's spirit of cooperation with council, myself and the Federal Member was," Mr McDonald said. An information display will be held at the Gatton Shopping Centre on November 5-7, from 10am to 5pm and Saturday, November 10, from 9am to 3pm.